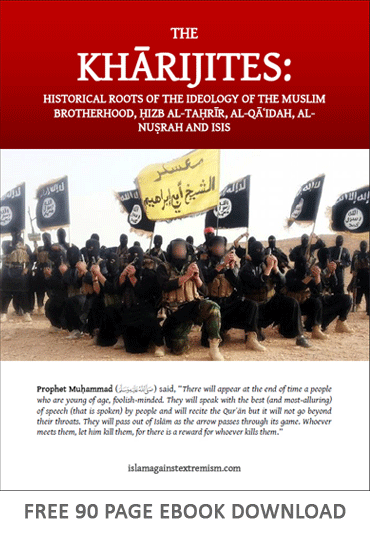 Muslims are and have always been the primary targets of the extremist ideology of the Kharijite terrorists whose manifestation in this era is in the form of al-Qaeda and ISIS, and before them in the form of the Egyptian Takfiri-Jihadist groups of the 1970s that were spawned by Sayyid Qutb's doctrines. The terrorist attacks in the West are only minor spillover activities and are not primarily intended in the doctrine of the Kharijite terrorists. The overwhelming majority of the attacks of the terrorists--which never received sustained media coverage, if any--take place in Muslim lands and have much more casualties than spillover terrorism in the West (see this article). This week's terrorist attack targeting people leaving a London mosque after Ramadan prayers is part of a wider phenomenon, in which Muslims are the most affected by terrorism around the world, researchers told ABC News. START Executive Director William Braniff and his team studied the causes and human consequences of terrorism, compiling details about attacks like the one that took place in London on Monday. What they found is that ? although they did not always have information about the religious beliefs of the victims ? Muslims were the most affected overall. "In the Middle East, Muslims are the most likely victims of both terrorism and counterterrorism efforts," Braniff told ABC News. His point of view may come as a surprise to Westerners who think about terrorism only as high-profile attacks carried out in the U.S. and Europe, such as the Sept. 11, 2001, attacks and the mass shooting at Pulse nightclub in Orlando last year. But when he and his team looked at terrorism more comprehensively, including regions like the Middle East and Africa, it became clear that Muslims are most frequently targeted, he said. On May 30, for example, ISIS killed 31 people in Iraq in dual bombings. One attack used a car bomb, and the other targeted a popular ice cream shop in central Baghdad, according to The Associated Press. But those bombings drew significantly less attention from Western media than the suicide bombing at an Ariana Grande concert in Manchester, England, that took place May 22. In the Manchester attack, Salman Ramadan Abedi killed more than 20 people and left dozens of others injured, according to authorities. But Braniff stressed that Muslims face threats from terrorism outside the Middle East as well. He said that START researchers found an increase over the past several years in terrorism-related violence against Muslims in the 35 member nations of the Organization for Economic Cooperation and Development, an intergovernmental economic organization that includes the U.S. and much of Europe.